For over 16 years, DineSmart applies the simple model of asking diners to chip in an extra $1 on their bill and granting those donations to combat homelessness in the local community. Sadly, homelessness is on the rise and on any given night there are an estimated 116,000 people without a safe, secure place to call home. With unprecedented demand, and shrinking funding, the funds raised by DineSmart have become an essential lifeline for front line grassroots services and been a key source of funding for innovative ideas. 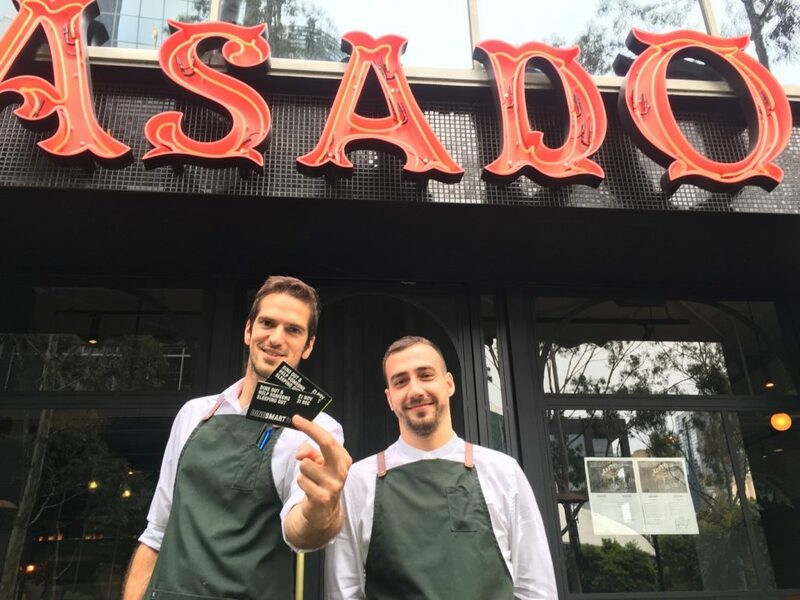 From November 21st – December 31st, 108 participating restaurants activated the campaign by educating diners on local community projects and seeking support- resulting in $245,054 being raised. This was a huge effort up 27% on 2017. The exciting part is now we get to process the funds and start giving out the community grants in a few weeks! 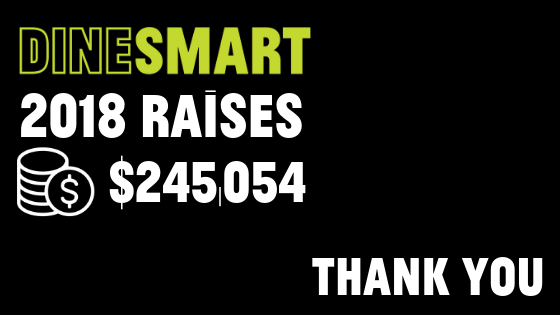 The total of funds raised through StreetSmart campaigns now reaches over $5.6 million, supporting over 600 community organisations across Australia. The support and commitment shown by all restaurant and café owners and their staff continues to amaze us. DineSmart works because we have a community of caring restaurant owners and staff and generous customers – it’s a great partnership! We would like to thank our longstanding restaurants and welcome the new additions. 2018 had great continued support from our sponsors UberEats, Broadsheet and OpenTable. All our partners play an important role in helping us reach our tally, but some go a little bit further, so we always like to acknowledge the life changing contribution made by our top fundraisers. The teams at Chin Chin and Cafe Sydney continued on from last year as our Champs and Runners Up. Both venues have now raised close to $150,000 since joining the event. Team Stalactites has now reached the milestone of $75,000. The impact of this effort cannot be underestimated. Ten partner restaurants have been helping for 10 years or more and their loyalty to the event and the community has been what has sustained us. We always need new venues to come on board and this year Supernormal joined the team and instantly had a great impact. Andrew McConnell’s restaurants have been involved for 15 years and the team got right behind the event with amazing results. Other new participants topping the fundraising were Pastuso, Hawker Hall, Asado and La Cache a Vin. Windy Point flew the flag for us in Adelaide and made the Top 5 again this year, meaning we will be able to support a number of organisations on the ground there. In Sydney the trio of Longrain, The Apollo and Cho Cho San once again topped the charts and made a big contribution to the NSW tally and projects we can support in inner Sydney. New last year TipoOO improved their tally and made the Top 10, while The Spaghetti House in Brisbane were Top 10 and our QLD Champs. Hanoi Hannah in Elsternwick improved their fundraising more than any other venue. The team at Supernormal, Melbourne. All we can say is WOW! What a great team and genuine approach to DineSmart! 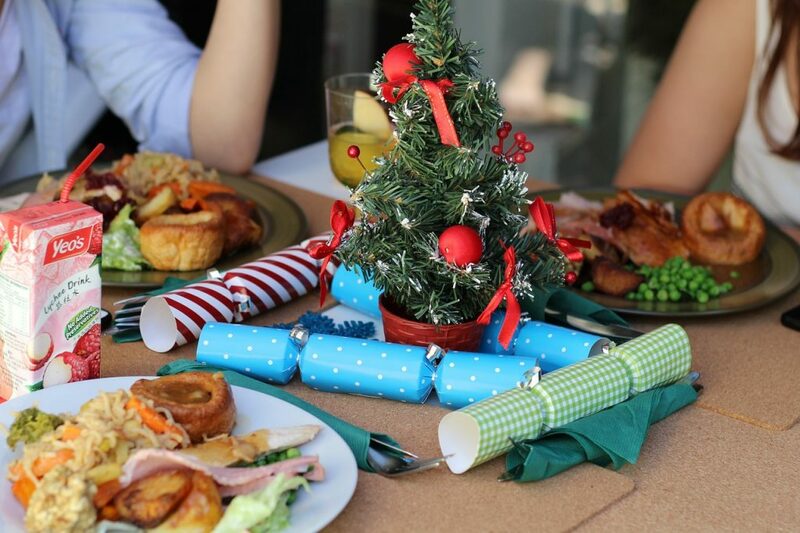 Christmas is just around the corner and for many, that will mean food and fun enjoyed in the company of friends and family. For the estimated 116,000 people experiencing homelessness – Christmas can be a painful time. While the world around them seems to be connecting with loved ones, it can be a reminder of grief, loss, and isolation. Domestic violence rates tend to rise over Christmas, with increased alcohol abuse and financial stress leading to a spike in homelessness for women, young people and children. Daily life while sleeping rough can be unsafe, isolating and dehumanising. While many of those who end up sleeping rough have experienced complex trauma, or are escaping unsafe situations, as a society we judge, blame, or simply ignore those most in need of a little kindness. So next time your rushing through the CBD or walking past someone who is sleeping rough, offer some change and to stop for a chat. A simple – “mind if I stop for a chat” gives someone the freedom to decline, and opens the door to what might be the first interaction someone has experienced that day. 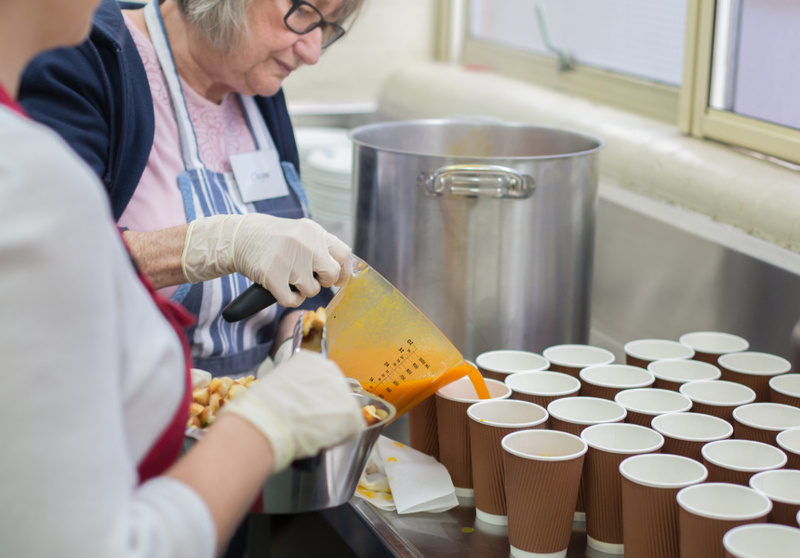 From collecting and sorting donated goods, packing and delivering emergency relief hampers, and preparing community meals – there’s never a shortage of work that needs doing. So why not find out who is doing this work in your area, and offer to lend a hand. 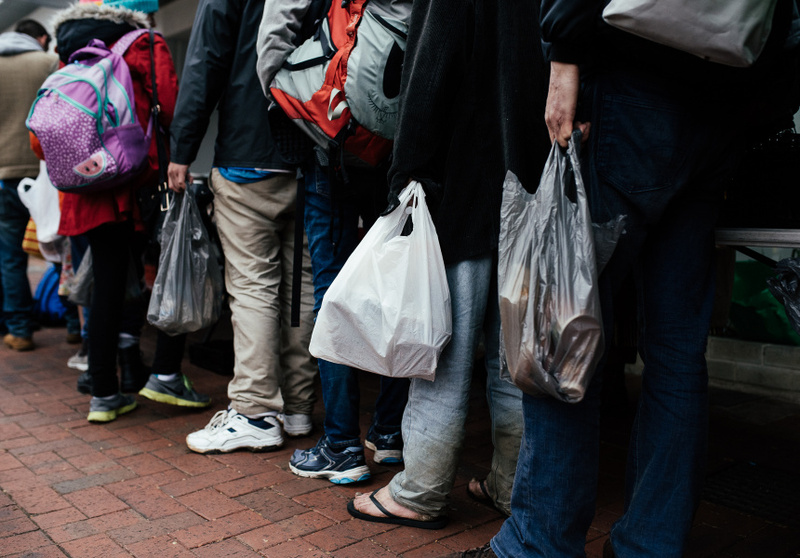 Cuts to emergency aid organisation Foodbank recently caused enough of a public backlash to force the government to amend that decision. This is a rare example of an issue that specifically affects poor and marginalised people making it to the middle-class-mainstream. 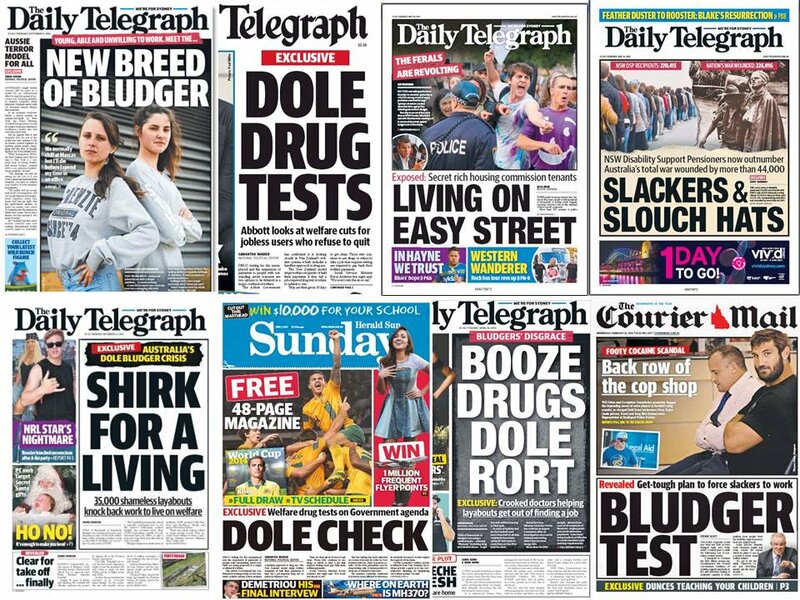 Issues like the desperate need to drastically increase public and social housing, or cruel and changes to Centrelink rules don’t tend to get much traction beyond poor-bashing headline in conservative tabloids. Single parents are a regular target, as are indigenous people, anyone looking for work, or having ever needed to claim a benefit at all. These are issues that primarily affect people without a political voice. As the recent Foodbank example showed, by standing together we can protect and promote the interests of our society’s most disadvantaged. Read about news that affects the poor, share links, talk to your networks about it and sign petitions like this one. There are a number of homeless support pages on Facebook which share national and local news, as well as the StreetSmart page. It would be remiss of us not to include our two major Christmas campaigns in this list. 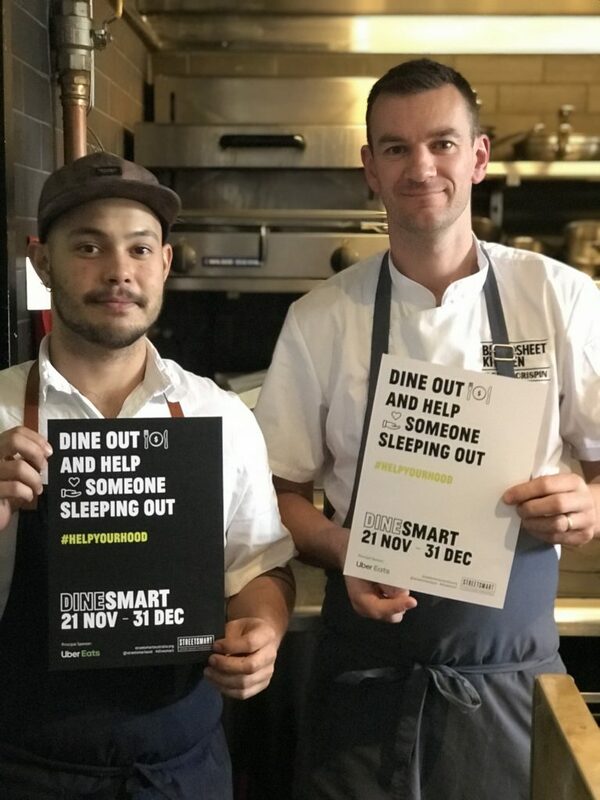 DineSmart is in full swing, with 130 restaurants all raising funds for local homelessness services. Odds are you’ll be invited to at least one work break-up, social group outings and family dinners before Christmas arrives. Suggest a DineSmart participating venue and you’ll be helping to raise funds for homelessness organisations in the local area. You can also chip in to our StreetFunder campaign which is funding four small projects to buy gifts, fill hampers, and hold community Christmas lunches. The last few weeks of the year are always a mad scramble, and here at StreetSmart, we’re no different. With DineSmart is in full swing, behind the scenes we’ve been busy wrapping up CafeSmart 2018. We recently announced our Fundraising Awards and most importantly – reviewing grants and distributing proceeds to local projects. It’s always exciting to bring you this news, which is the culmination of a lot of work for us and over 850 small business partners across Australia. Thanks to this effort, CafeSmart Community Grants are now making their way to 159 projects. Getting much-needed funds into local communities is what it’s all about – and we are excited to finally share the results and funded projects! Clair, Amy and Elizabeth (pictured below) at Tassie Mums in Hobart received a CafeSmart community grant thanks to local cafes in Hobart. With public funding uncertainty, many important organisations find it hard to test good ideas, extend proven programs, or fully fund priorities. Through our Lead Grants, which are supported by the StreetSmart Collective philanthropic matched giving, we were able to boost funding and scale these projects to multiply their impact. This year we provided 8 Lead Grants to support a range of important work – from advocacy to fix our housing system, to specialist services for people who have experienced chronic homelessness. We are supporting Footscape to scale up its operations and help more people. Wounds and chronic health issues, like diabetes, are common for people sleeping rough or experiencing extreme disadvantage. Thanks to a lead grant we are helping the volunteer-led team at Footscape to scale up their work with rough sleepers – providing foot care kits, health advice, shoes and socks. 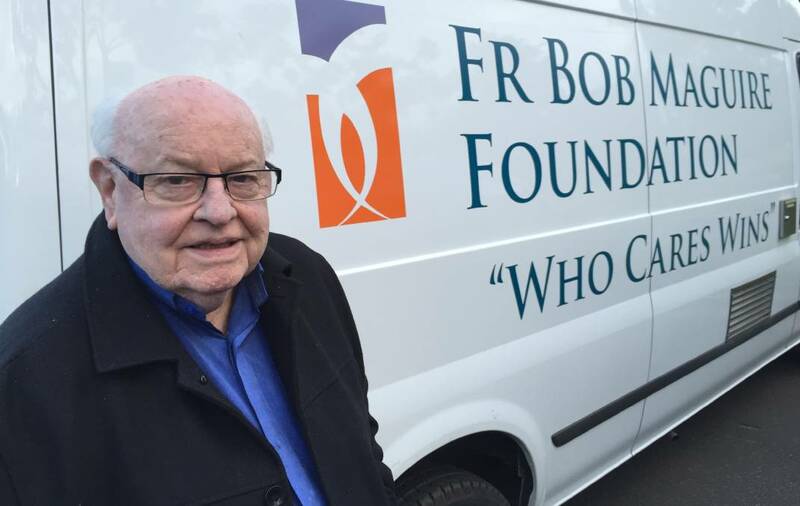 Another Lead Grant went to the Father Bob Foundation (pictured below) to expand their education work with young people who are homeless or living in extreme disadvantage. The RoboBus is a hi-tech classroom on wheels keeping disadvantaged young people technologically literate. The bus will offer training in a range of new technologies from 3D printing to VR environment learning – with the aim of helping kids break the cycle of intergenerational disadvantage and preparing them for the future of work in Australia. You can check out this years’ lead grants, in more detail, here. ACT: $1500 to Street Law Outreach Legal Service to create information packs for Culturally and Linguistically Diverse clients. 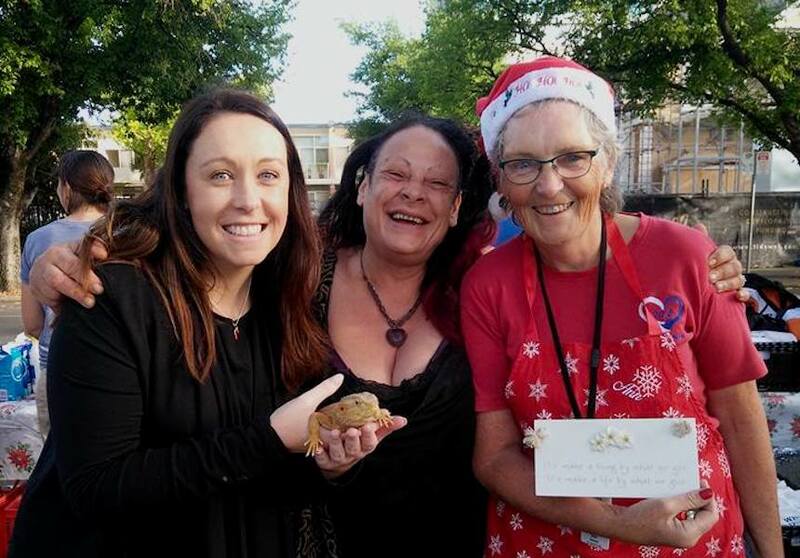 NSW: $1700 to Bayside Women’s Shelter to help fit out their new women’s shelter. 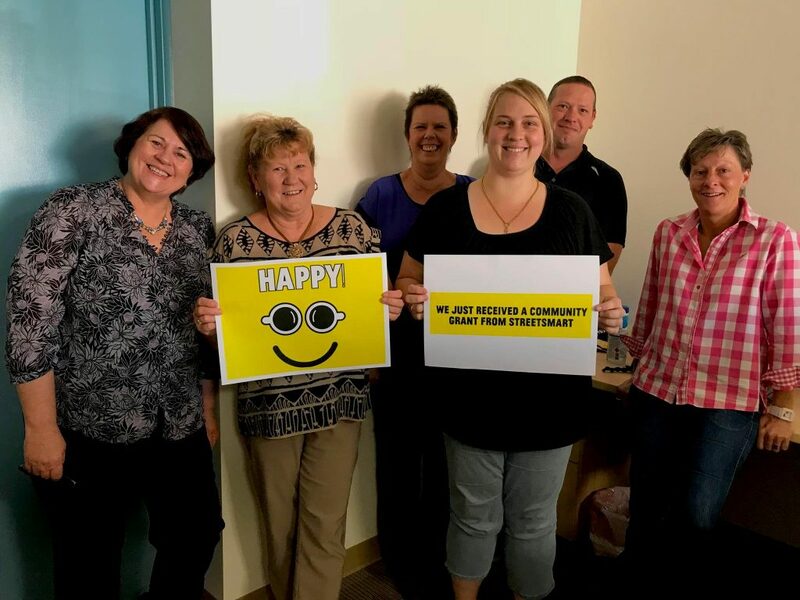 QLD: $1900 to EDON Place Domestic & Family Violence Centre to provide starter packs of essential items for women accessing the refuge in Bundaberg. SA: $1000 to Essentials for Women, to provide women’s hygiene products to women’s services across SA. TAS: $2250 to Homeless Healthcare to provide vital medical outreach on streets of Hobart. VIC: $800 to Clean As Casper to provide mobile showers and care to people in the outer South East suburbs of Melbourne. 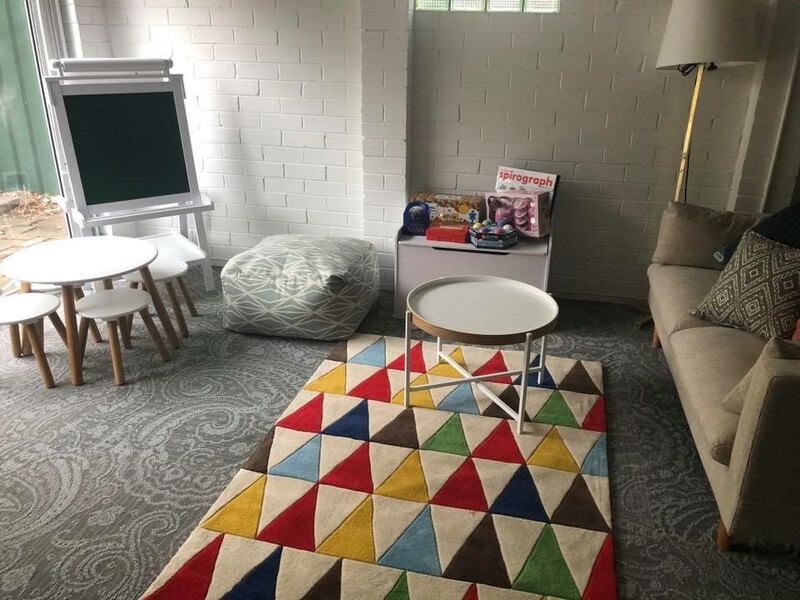 WA: $750 to Orana House to provide a children’s holiday program in their refuge in Inglewood. And a final word from a grant recipient. 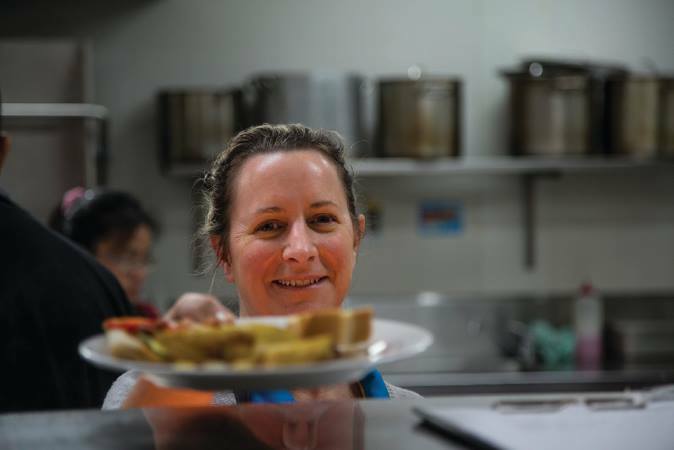 This Adelaide Charity Is Quietly Transforming Lives and Attitudes about Homelessness. Cos We Care is a small Adelaide based charity that’s transforming lives and community attitudes about homelessness. I spoke with one of the Founders, Ann Cooper about how she came to start Cos We Care and how it’s quietly transforming people and community in Adelaide. 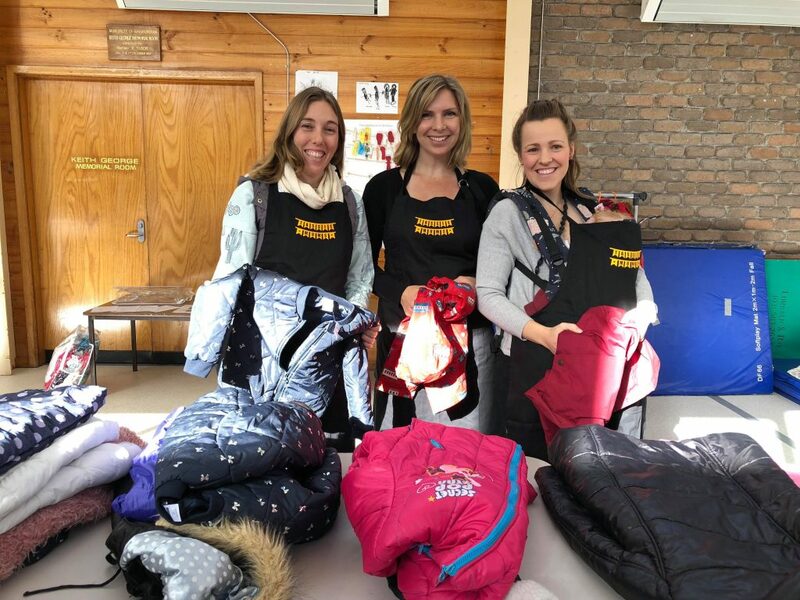 Cos We Care started when Ann and a friend decided they wanted to do something positive for the estimated 152 people sleeping rough in Adelaide and surrounds. 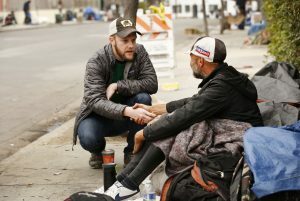 They prepared some bread rolls, cookies and boiling thermos and started approaching local businesses to spare a roll of toilet paper, a beanie, or whatever they could manage. “We didn’t have a lot back then, but we made something of what we collected and just started walking around meeting people, and offering what we had. 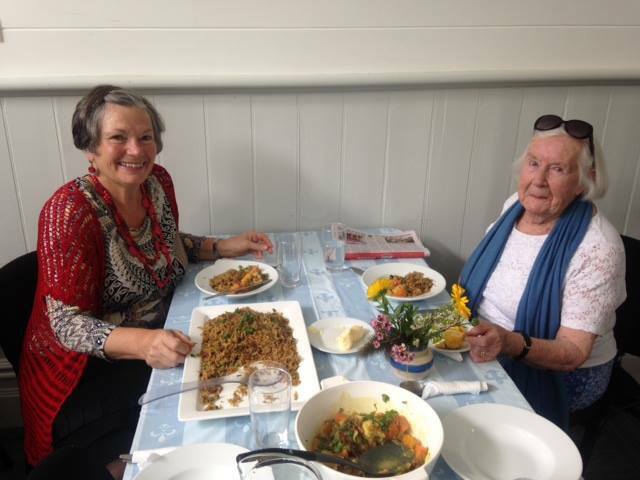 Their impromptu outreach was about more than providing material aid – Ann wanted to do something about the isolation and loneliness people who are homeless experience. 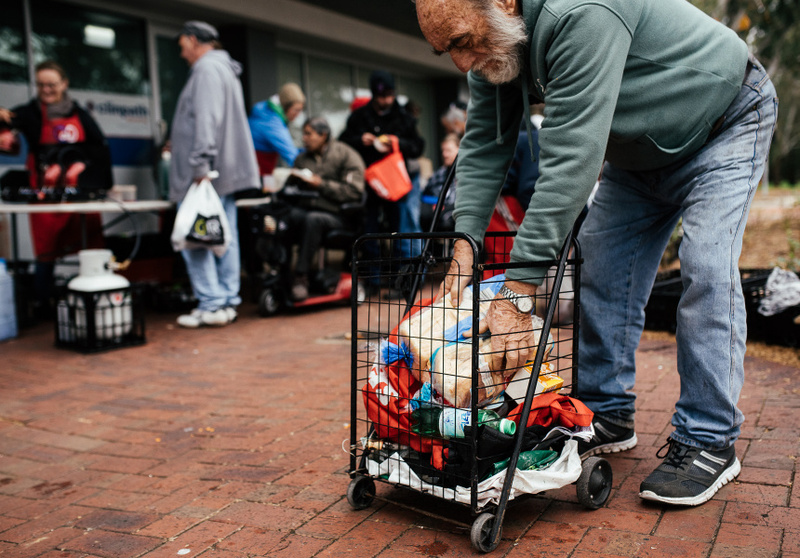 By asking approaching local businesses and total strangers to donate some food, a gold coin, or their time, Cos We Care is working to build a community where no one suffers the pain of isolation just because their circumstances have led them to homelessness. “We don’t go to Foodbank, everything we get is donated from local people and businesses – it’s about getting people to be involved. Now Cos We Care operates a weekly community breakfast in the local parklands and they now have about 80 regulars every Sunday. Ann is passionate about the Care in their name – and what it can do to change people’s lives. People sleeping rough or experiencing chronic homelessness are a small percentage of overall homelessness, but are more likely to have experienced significant abuse and trauma, and struggle with untreated physical or mental health issues. It’s easy to judge someone on the street for being ‘rough around the edges’ – but showing a little compassion to someone who may have rarely experienced it is much more helpful. “I will never forget one fella had quite a bad attitude when he came to our first few breakfasts. But he kept coming, and we knew he’d come from a tough place – so we just kept reminding him that we are here because we care. After a few weeks, he had totally changed. He has beautiful manners, shows up early every Sunday to help out, and makes sure he thanks everyone by name. All it took was a little decency – we showed him respect and care. With the help of our StreetFunder community, we are supporting Cos We Care along with three other projects this month. Christmas is a busy time for the services we support and Cos We Care are no exception. They have been busy collecting food for hampers and will be holding a Christmas lunch in the park. Ann will be using the StreetFunder grant to give people something they may not have had before – a choice. They Roasted, Brewed and Donated – The CafeSmart Fundraising Awards Are In! 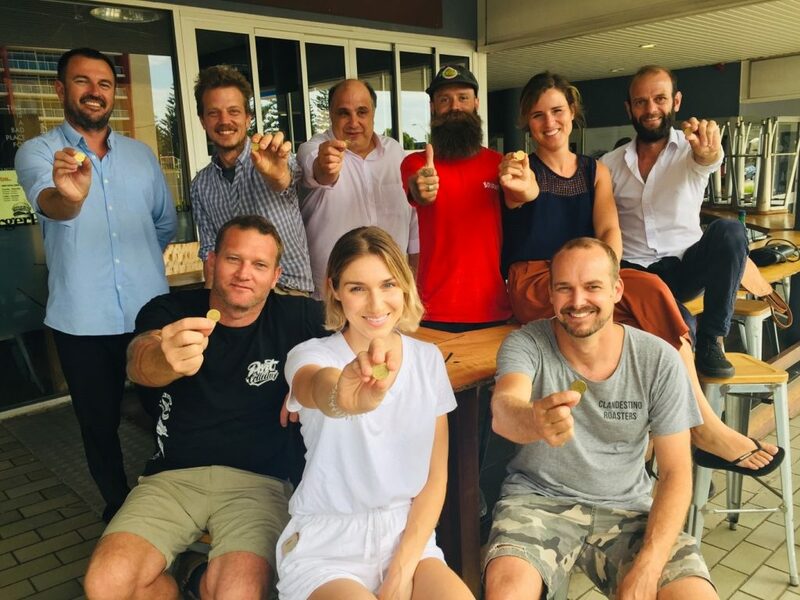 On the 3rd of August, 815 cafes and 50 Coffee Roasters teamed up with their customers to raise over $205,000 for local grassroots homeless projects. It was a massive community effort and by working together we are going to impact many lives. A huge thanks and a hearty slap on the back to everyone who brewed, sipped and donated to this years’ CafeSmart grants pool. 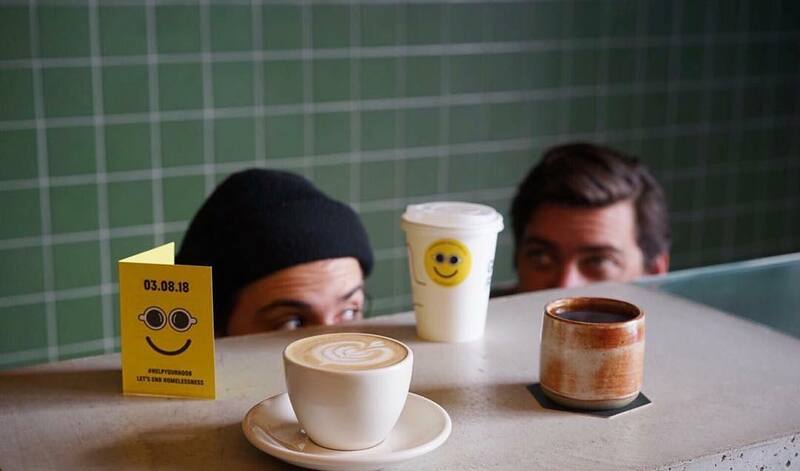 $1 is a small donation, but with the collective power of over 800 cafes and thousands of coffee drinkers, it really adds up. 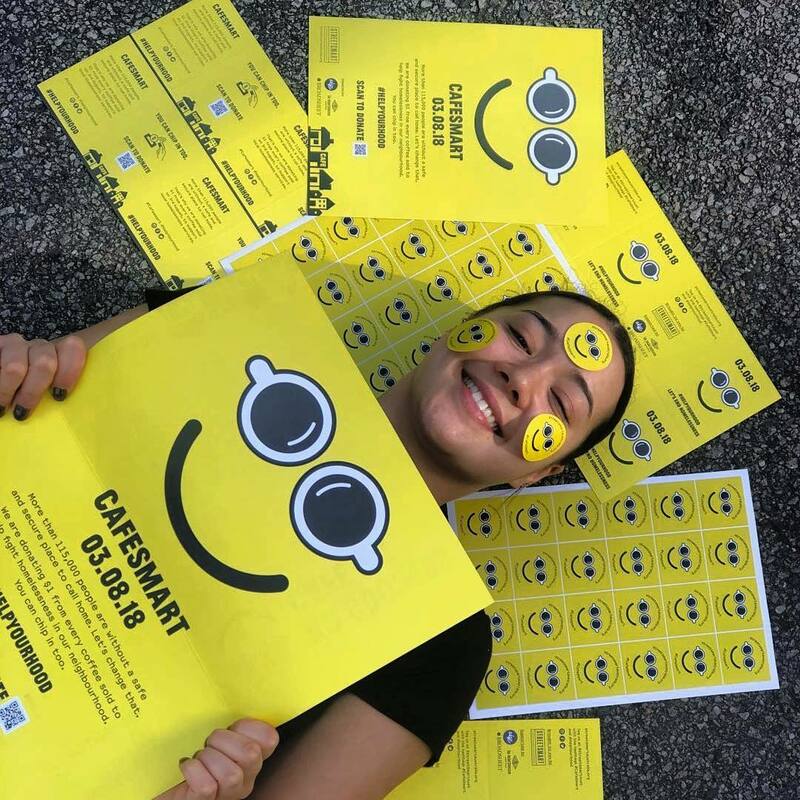 CafeSmart is all about bringing people together to raise awareness and funds to combat homelessness and make a difference to our local communities. We believe that by coming together at the community level, we can play a big role in ending homelessness. We appreciate every one of our CafeSmart supporters and participants, together we make a real difference. We are now busy working to distribute these funds to support local homeless services and will announce recipients in mid-December. But with results in – we are pleased to announce the winners of our fundraising awards. Our Roaster Partners are the engine room of CafeSmart. 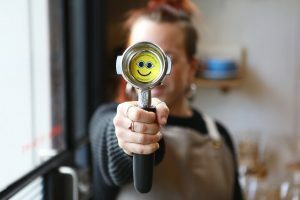 They help us connect with the industry and cafes across the country, and it’s no exaggeration to say that CafeSmart wouldn’t exist without their enthusiasm and support. This year we welcomed a number of new Roaster Partners who joined a band of great contributors. We are pleased that many new regional roasters have joined us, making an important contribution to rural and regional communities that we couldn’t reach out to without their support. This year we had a record number of 806 cafes signed up for the event. Every café who gets involved has an impact on their community, and in some cases, cafes go beyond the call of duty, so hats off to our top fundraisers. 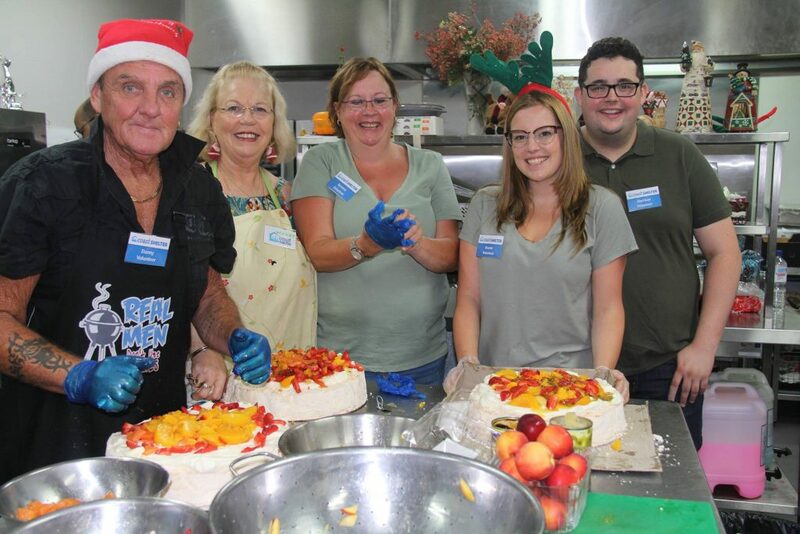 Our National Fundraising Champions are the team at Monica’s Cafe in Maleny (QLD), raising a staggeringly $2,550. 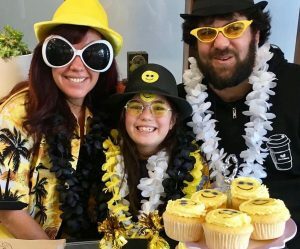 Their secret weapon was young Ava – a big-hearted 9-year-old, who baked and sold CafeSmart cupcakes raising an incredible $900 on the day! Our National Fundraising Champions Runners Up were Baked In Sorrento (VIC) raising a whopping $2,000. 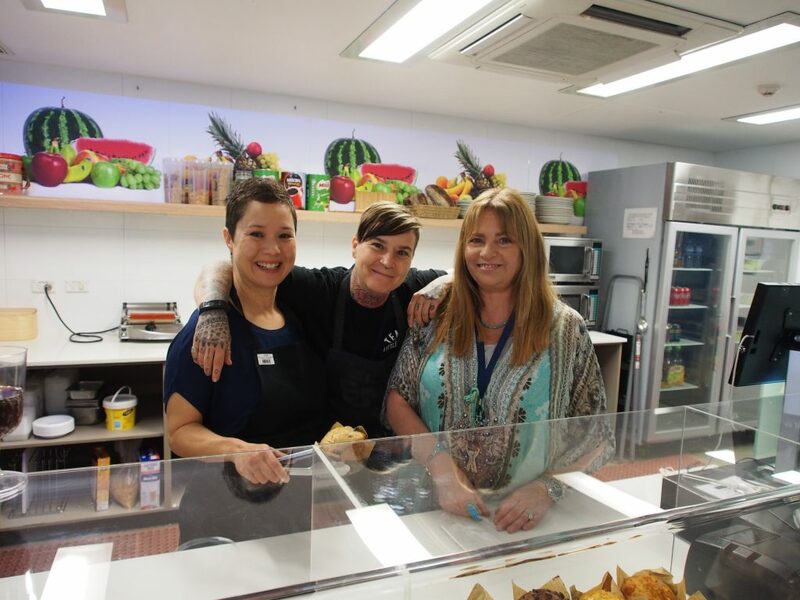 This was their first CafeSmart, and with such an incredible result they’ve also taken the Best New Cafe Award. Monica’s Cafe and Baked In Sorrento also took out the Collection Box Challenge Champions Award both raising an additional $1200 each from customers. Here’s the full list of fundraiser awards – great work and well done on and outstanding result to all! We couldn’t organise CafeSmart and raise these funds without the support of our event sponsors – so a huge shout out and thanks to SKIP (our Principal Sponsors), La Marzocco and Broadsheet for their financial support and commitment to the event and cause, and for the help from friends at Cargo Crew, Joco, 360 South and Beanscene. Finally – thanks to everyone who drank a brew or two on the day and chipped in to help us support people across our communities doing it tough. The CafeSmart Community Grants will be announced in early December. 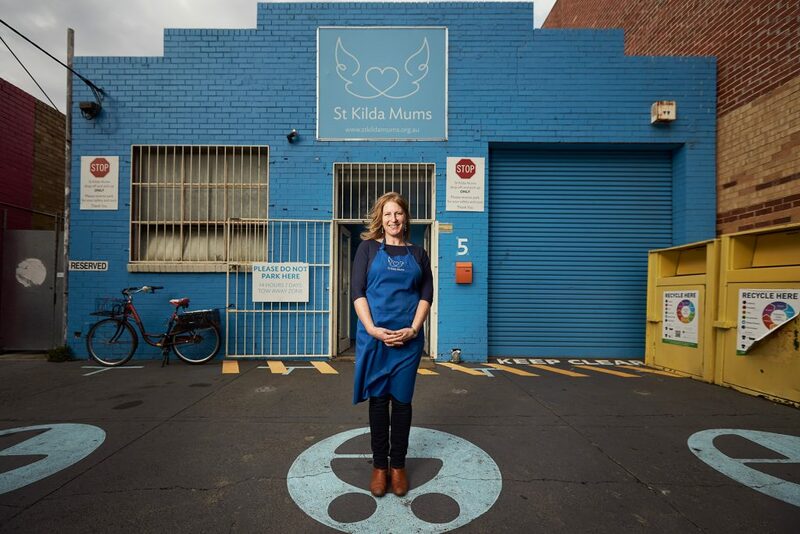 St Kilda Mums connects new and pre-loved baby goods with families in need, and was founded by a group of mums with the very simple idea that local families can help each other out. 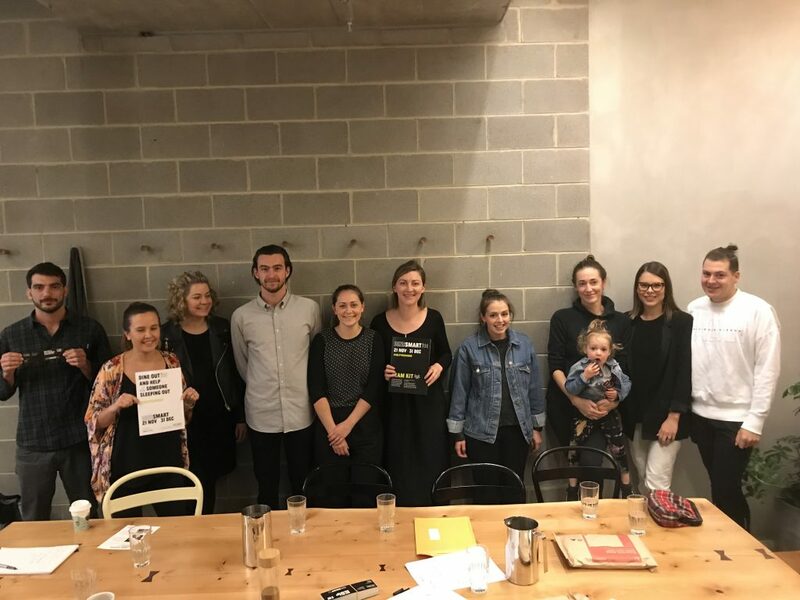 With a little helping hand from funds raised through our DineSmart campaign, this volunteer powered organisation has grown to include Eureka Mums in Ballarat and Geelong Mums. 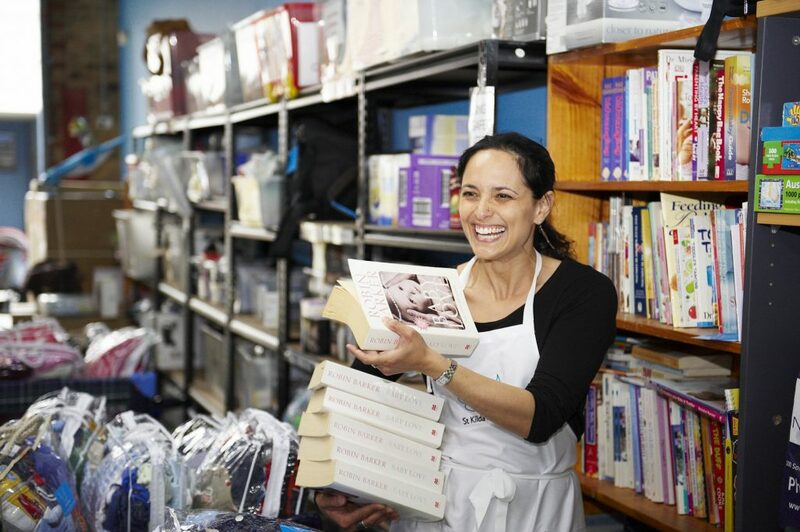 Jessica Macpherson, founder and CEO of St Kilda Mums now oversees an organisation with over 2,500 volunteers. But it started with just a handful of goods she donated to the St Kilda Maternal and Child Health Centre. “When my son was newborn, I was visiting my maternal health centre very regularly. I started to offer some of the things my son had already outgrown. The nurse asked me to pop these things into the photocopy room, and I went in and saw that there was lots of donations like mine. The nurses were taking these goods, and doing their best to distribute them. But they had no time to organise it all, which also meant they were struggling to find things when they needed them. It was the beginning of a very small community project, that has now grown to service across Victoria and has been 100% lead by local mum’s. “Each of the projects has been set up by mums all working together, helping each other and sharing the load”. While the core of their work is material aid, Jessica is quick to point out that there’s no such thing as a typical family that needs support, but there are some people that are more vulnerable than others. Homelessness comes at great cost to an individual’s health, and for a pregnant woman her own health and that of her unborn child are at risk. Untreated chronic disease, risk of infection, malnutrition and exposure to violence are just some of the risks pregnant women face while homeless, with many presenting to maternity wards with nothing but the clothing on their backs. Not everyone who needs help from St Kilda Mums would be immediately recognisable as vulnerable. Life can throw you a curveball at any time, and people are welcoming a child into the world every day amidst some very real, very big challenges. There is an optimism and genuine care that underpins what St Kilda Mums’ does – supporting families when they need it and without judgement. 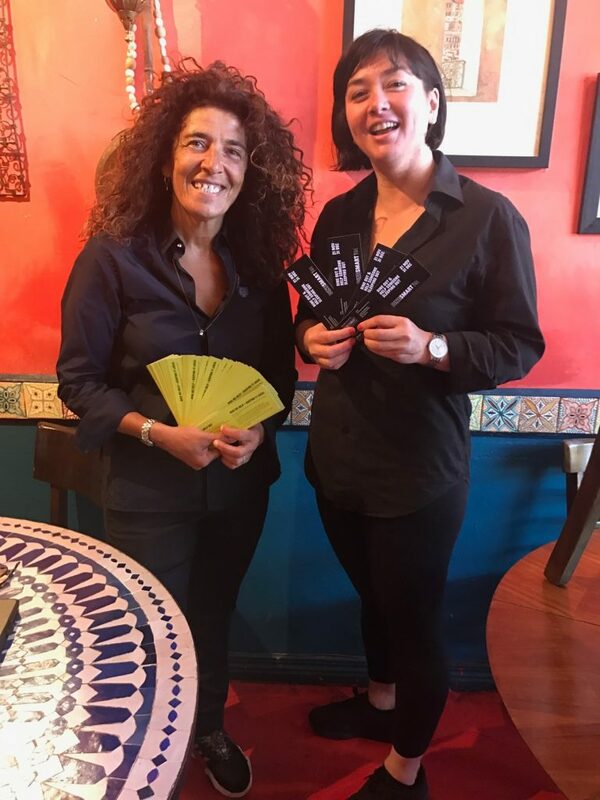 You can support St Kilda, Geelong and Eureka Mum’s by dining at a participating restaurant in those areas. Just check out our map to find your local. While the Australian electorate is still seething from the knifing of yet another sitting Prime Minister, there is no sign the freshly conservative face of the federal Coalition is likely to attend to voters most pressing concerns: insecure work, the cost of living, good public healthcare and education, affordable housing and wealth inequality. While politicians in Canberra have been busy wrestling control of government, an estimated third of the population are in rental stress. The most recent Demographia report on the state of housing affordability ranks all of Australia’s five major housing markets as severely unaffordable. According to Demographia a ranking of 3.0 (or lower) is considered affordable, while a ranking of 5.1 (or higher) is severely unaffordable. Sydney ranks an incredible 12.9, Melbourne fairs slightly better 9.9 – and regional centers like Ballarat and Bundaberg rate as severely unaffordable at 5.4. If we reach as far back as the 1960’s (when the majority of sitting MP’s would have been entering the housing market) housing prices have surged by a massive 6,556 percent. As house prices have soared, those that would have previously been able to own their own home are pushed into the private rental market. Up to a third of Australians now expect to rent for life. This trend can be seen most clearly in the most unaffordable areas, where there is a close relationship between the median house price and the percentage of people in private rental. For the 1.86 million people dependant on Centrelink, or the 1.9 million workers estimated to be subsisting on the merger minimum wage the recent tiny dip in the median house price is unlikely to bring much reprieve to their rental bill. The Australian Housing and Urban Research Institute suggests as much of 14% of the population are in dire need of affordable housing. According to Anglicare’s recent report on housing affordability, a single person on a low income will find less than 0.01 percent of rental vacancies affordable. Depending on how badly you fair on the low income scale, you may find up to 6% of properties affordable. But as the report notes, low income earners are in direct competition with people on much higher incomes looking to reduce their own cost of housing. It’s not hard to imagine that the majority of low income earners land on the bottom of the application pile. Low income households will find little reprieve in public housing, which has largely been abandoned. While social housing has increased – total stock has not kept pace with the demand. Victoria has just 80,311 public or social housing properties, while the the population grew 125,000 last year alone. The impact of these big picture trends is that it is pushing low income and working poor households into homelessness. According to the Australian Institute of Health and Welfare, 288,000 people required assisted by a homelessness service in 2016–17. 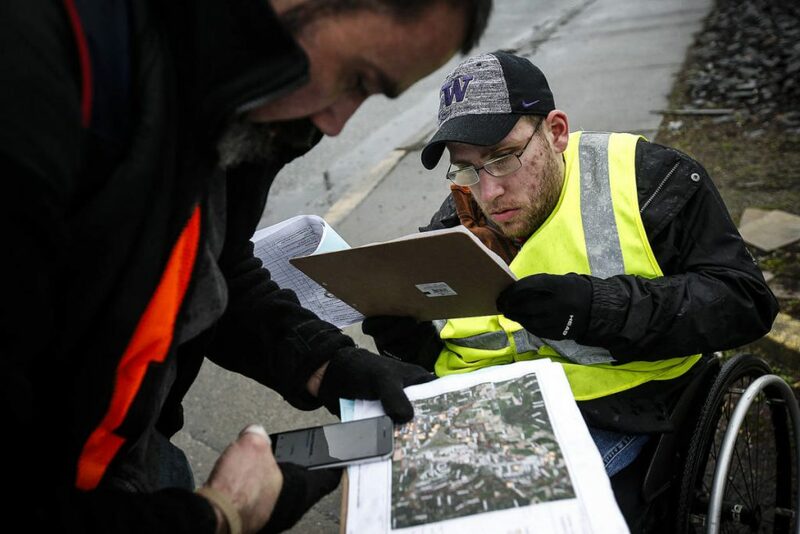 Behind those statistics are those that are not seeking assistance, or are sacrificing other basic needs like food, heating or medical care to maintain their rent. Some people are more likely to end up shouldering the burden of the housing crisis. As I wrote earlier this year, older women experiencing homelessness has risen 31 percent in 6 years. Women over 60 are the lowest earning group nationally and having led conventional lives, raised families, worked part time or in unpaid roles – they have retired with less savings and assets than men their age. 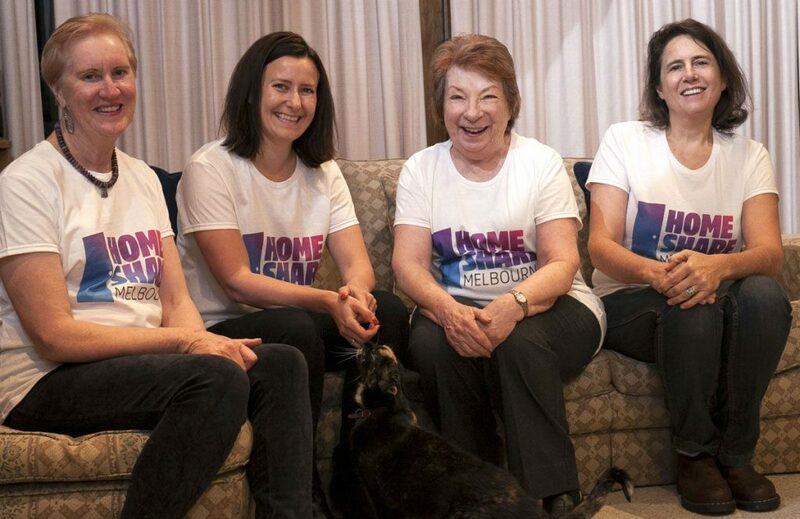 Underpaid, with little savings, facing a permanently inflated housing market, older women have been thrown under the bus by prolonged government inaction. Young people are especially vulnerable to the shifting dynamics of a predatory economic climate. While more young people are forced to stay home for longer, many lack this choice. Family breakdown, violence, or the entire family falling into homelessness are big drivers of homeless among young people. While the demonised by politicians and media outlets alike for being lazy and entitled, most young people are justifiably worried about their futures. Facing an insecure labour market, woeful levels of income support, something as basic as housing security starts to feel like an impossibility. What is the Root Cause and How do We Fix It? 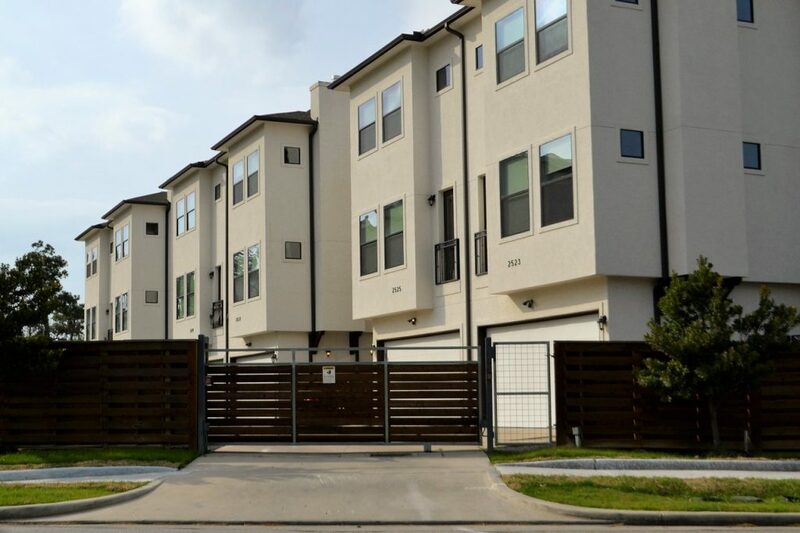 The state of housing is not simple, and is made up of a complex interaction of policy levers across State and Federal governments. Issues like land supply, tax incentives and the increasing insecurity of work and flat wage growth all contribute to the current crisis. To cut through the noise, it is more useful to look at what broad priorities have been set and who they advantage. Over several decades voters have been sold the lie of ‘trickle-down economics.’ This myth has justified tax breaks for property investors over investment in public housing, concessions to top earners paid for by the poorest workers, the list goes on and on. This hits at the heart of our national failure – we have fostered a housing market that privileges investors, promotes speculation and cataclysmically fails to treat housing as a fundamental right as basic as food. This crisis has been decades in the making, but with a dedicated realignment of priorities, it can be fixed. Advocates have been pushing for a National Housing Strategy that would remedy trickle up failure and restore some basic fairness to the housing system. Federal Labour is promising to roll back negative gearing and reform capital gain tax, and if elected should be held to that promise. But we also desperately need to increase the poverty level welfare payments and to create conditions for ongoing secure employment. After so much dog-whistling targeting minorities, young people and the poor, we need a massive shift in our national consciousness. That will take genuine leadership, perhaps the sort that is naive to hope for. But with an early Federal election on the cards, with voters fed up with the status quo, we are overdue for a radical change. At StreetSmart we believe everyone should have a safe and secure place to call home. Housing is a human right and is the foundation for building relationships, connecting with community, engaging in education and work and having a stable and successful life.